COMOSA is a non-profit, democratic, collaborative and futuristic organization based on mutual respect and committed to support the efforts of open schooling institutions. 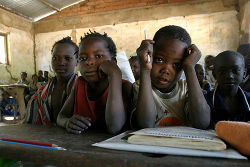 The basic objective of the association is to cooperate and collaborate in development, promotion and introduction of innovative, high quality, relevant, equitable, gender-sensitive and cost-effective programmes of school education for sustainable development in commonwealth countries through Open and Distance Learning Mode, and thereby targeting to achieve the Millennium Development Goals (MDG) of the United Nations. This page was last modified on 28 January 2012, at 02:41.